In between each vertebra in the spine is an intervertebral disc. This rounded circular disc has a fairly hard cartilaginous outer shell, and a gel-like liquid centre. 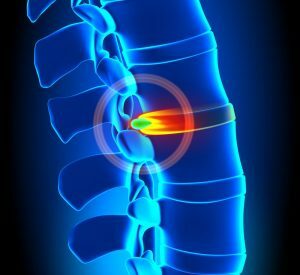 The discs are used as shock absorbers for the spine, to protect the vertebral bones from damage and create space for the nerve roots to exit the spinal canal. With too much pressure on the spine, from an acute injury or long term movement dysfunction (like a job where lifting heavy objects is the norm), the outer shell of the disc can stretch, change shape or even rupture. The common term for this is a disc bulge. What are the symptoms of disc bulges? 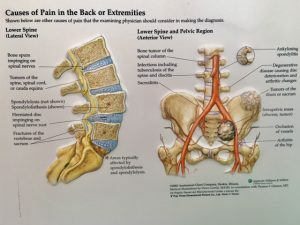 Pain: from the inflammatory response to the disc damage; or an impingement of a nerve root due to the loss of space created by the disc bulge; or from the muscle spasm involved in protecting the spine from further damage. Neural symptoms: pins and needles, tingling, numbness, burning. All of these symptoms relate to an impingement or irritation of nerves or spinal cord from the disc damage. Weakness: in the extremities from possible motor nerve compression or irritation. Loss of movement: if the brain has kicked into “protection mode”, it will recruit the muscles surrounding the bulge into spasm (like a long-lasting cramp) to stop you from moving much and further damaging the disc. The good news is that there are some fantastic treatments for disc bulges – which one will be best for you will be dependent on the severity of the symptoms that you are suffering from, and how acute the issue is. Pain Management: We see people in different phases of suffering from disc bulge symptoms. In the acute phase, there may be spasm, cramping, immobility and great pain. In the sub-acute phase, there may still be great pain, and continuing muscle spasms throughout the area. In the chronic phase, sufferers may have ongoing pain, reduction of movement, continued neurological symptoms. With each of these phases, the reduction of pain and neural pathway changes are addressed first. To reduce that pain while working on the cause is what differentiates Myotherapy from other therapies. We will use our hands-on expertise to massage and mobilise the soft tissue spasm that causes so much of the pain, and then use more advanced techniques such as joint and neural mobilisation to address the actual injury. Injury Management: While your pain is being addressed and managed, we will begin the process of restoring functional movement and best joint position to take the pressure off the disc and nerve roots being impinged. This will address the neurological symptoms of weakness and sensory changes (pins and needles etc). We may use joint mobilisation, facilitated stretching, neural flossing and stretching, dry needling and other techniques to give space back to that disc, joint and nerve root. Rehabilitation: While we do the hands-on work, we will design a home rehab plan for you to do alongside the treatment. This plan is aimed at ensuring the muscles stay strong and move effectively (instead of jumping to “protection mode” or spasm), to obtain and maintain the best posture and spinal position for the damaged disc, and to reduce the chance of further injury. This plan will progress over time, until you are left with a home maintenance plan after the treatment plan has finished. Medication: medication for disc bulge usually has one of three uses. It can be used for the reduction of symptoms (pain and neurological), it can be used for the reduction of inflammation resulting from the disc injury, or it can be used for muscle relaxation to manage spasm. Often, medication will be used in conjunction with hands-on therapies to get a better outcome for the patient. At Mobilise, we work with many GP’s and Orthopaedic specialists who will advise patients on possible medication options to aid treatment. Steroid Injections: Cortisone injected directly into the area around the irritated spinal nerves and injured disc can reduce inflammation in the region. Surgery: if other treatments haven’t worked, or the bulge is severe enough to cause disruption to body functions such as bowel and bladder use, surgery may be recommended. Usually, if the condition is not acute, conservative treatment will be suggested for 6-12 weeks before surgery is considered. 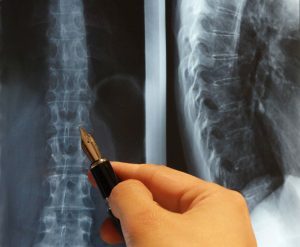 Depending on the severity of the injury, parts or the whole disc may be removed, the vertebrae may be fused, or even a small portion of the vertebrae can be removed. The decision to have surgery is one based on the severity of symptoms, whether a conservative plan has not worked, made in conjunction with your GP, Specialist and Myotherapist. Muscle strengthening: from abdominals, gluts or neck muscles ensuring the core is strong is so important for taking pressure off the vertebral discs and nerve roots. Here’s a great video on how to strengthen a basic core muscle, the transverse abdominis. Muscle lengthening: depending on whether your lower spine has too much or too little front/back curve, there will be muscles that will need stretching and reactivation to recruit effectively. Weight loss programs: with less weight, comes less pressure on the spine and discs. Neural desensitisation: nerve stretching or “flossing” to ease neurological symptoms by mobilising hypersensitive nerve pathways (for example, the sciatic nerve can be irritated with a lumbar disc bulge). Source: Journal of Exercise Science and Physiotherapy. Pain and pathology education for the patient: there are many great studies showing that if you understand why your pain is occurring, and what the pain actually is – your recovery is faster and more effective. Ergonomic and movement evaluation: taking a look at the daily movements you do may help us to reduce your ongoing pain, and reduce your chance of re-injury. Call Mobilise now to talk to one of our experienced Myotherapists for more information on how we can help you fix your disc bulge: 0473 090 442 for our Toowong clinic.